It gets picked up so regularly among the men during class gatherings and the festive seasons' idle chat that many would not think National Service could be such a heated and sensitive issue. It seems almost given that National Service is an institution in today's Singapore. 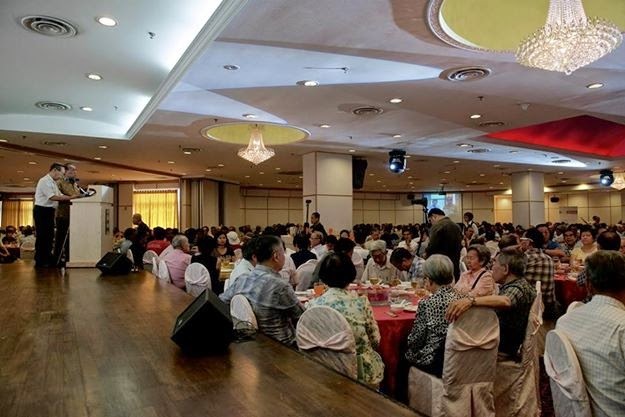 Many a times, it has been quoted as an example where Singaporeans across all races and social classes bond together in a common cause; despite the many criticisms that Malays are excluded from certain military vocations due to geopolitical considerations. Nevertheless, NS does have its fair share of criticism and in the recent years the most common complain is not against the fundamentals of NS, but rather how it has hindered individuals in our increasingly competitive economy where time away from improving one's career is only accentuated by the foreign workforce who do not have such obligations. Today, we mostly criticise the form in which NS should take. But how Singapore has moved away from questioning the very basis of why we perform NS, to protesting the form in which it takes place is a reflection of how we have grown as a nation. It was not so long ago that Singaporeans actually denied the idea of doing NS. The first of these were actually on 13 May 1954 where students of Chinese middle schools who were protesting against conscription by the British colonial power, clashed against riot police resulting in 26 injured. For many historians, the National Service Riots of 1954 marked the beginning of communist subversion in the Chinese middle schools, which subsequently became the breeding ground for communist sympathisers in Singapore. In fact, just a couple of days ago, these same pioneers celebrated the 60th Anniversary of this event with a lunch, singing of old battle songs and solace in common memories of a past struggle. The event was well attended with a crowd of about 700 including members of the opposition political parties, mainly NSP and SDP. In analysis, protests broke out in 1954 because the colonial government expected full compliance from the students of the Chinese middle schools, who at the same time were excluded from many economic opportunities that were available to those who were English educated. "The National Service Ordinance ruling angered the Chinese middle school students because they were compelled to defend the same British order that had discriminated against them and in which they saw no future in. Many Chinese who felt that they were not being treated as equals by the British also did not feel obliged to serve the colonial government." So, despite the fact that the idea had public support, and registration for national service went smoothly with 98% of eligible students having registered themselves, the tide slowly turned against the Brits and culminated in the National Service Riots of 1954. Due to the strong opposition, the colonial government had no choice but to postpone the implementation of the National Service Ordinance. Thereafter, it was said that this episode awakened the Chinese students' political consciousness and strengthened the influence of student leaders and they subsequently formed the Singapore Chinese Middle School Students Union (SCMSSU) - which became a pro-communist organisation that was sometimes radical and violent. Looking at the anniversary event held 3 days ago, it was interesting to note that the event was organised by F8, which is an organisation formed by the Marxists detainees of 1987. And, it was not surprising to see that the the detainees of 1987, especially Vincent Cheng, produced various publications in the 1980s, such as the Singapore Highlights to question the need of National Service and a high defence budget. In one article, it asked "Why do we teach the young minds to hate and kill?" Another publication produced by the so-called Marxist conspirators was the Commscord, which was a newsletter aimed at NS men, giving them a hostile view of the military life and using Marxist arguments to convince readers that NS was setup to further the evils of a capitalistic society. Looking back, while NS has become less controversial today, it can still be a touchy subject, because ultimately NS is a liability whether in 1954, 1987 or 2014; and no matter how much the state compensates the individual, the golden years of one's youth can never be recaptured, except through a common consensus that we do so for the survival of this little red dot.